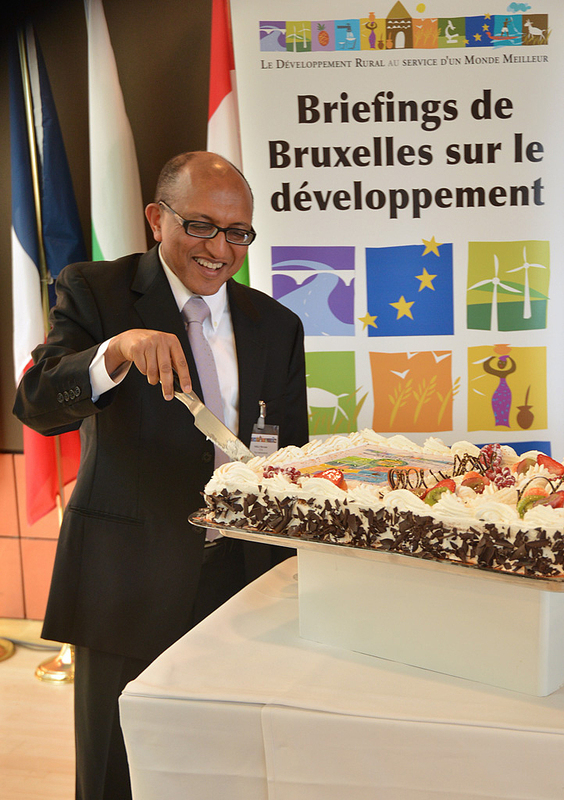 On 4th March 2013, CTA, the ACP Group, the European Commission and CONCORD, celebrated the 30th Brussels Briefing. 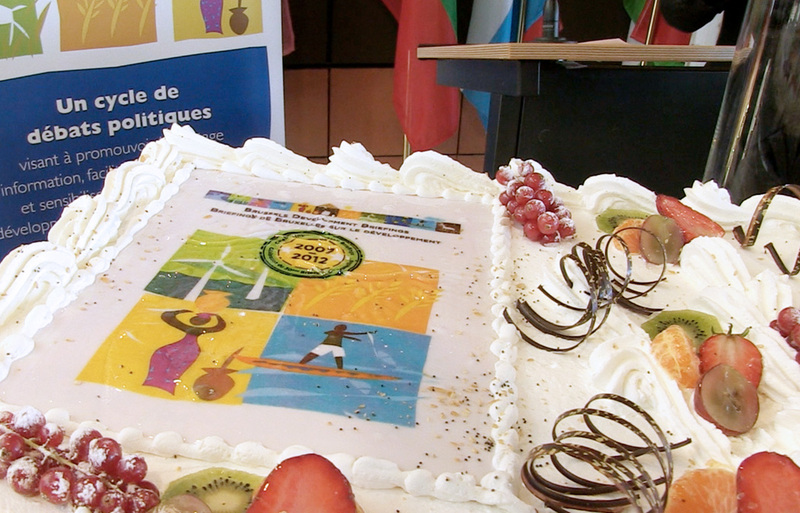 Launched just over five years ago in November 2007, the Briefings have brought together noted experts and thought leaders from around the world to debate issues of key importance to agricultural and rural development in ACP countries. In that time participants including ACP-EU policy makers and development practitioners have gathered to join in the discussion on themes such as food security, environment and climate change, rural employment, trade and food governance. Over the years the Briefings have grown steadily in popularity. Today on average 170 people attend the bi-monthly briefings and the same number again tune in online via the live webstreaming. In recent times other international organisations such as IFPRI, African Union and NEPAD have joined as co-organisers at individual Briefings, bringing a unique perspective to the topic addressed. We look forward to welcoming new partners for future topics. The regional briefings are also as demanded as ever. Last year, these were held in Mauritius, St Lucia and Addis Ababa, Ethiopia. They allow for a more regional perspective on the themes addressed and would hopefully enable policy development to be more inclusive and pertinent. On 27 February 2013, the first national Briefing was held in Haiti. Providing a truly domestic focus, these ‘spin-off’ Briefings ensure agricultural and rural development is highlighted in the national agenda. We look forward to seeing these develop across the ACP regions. 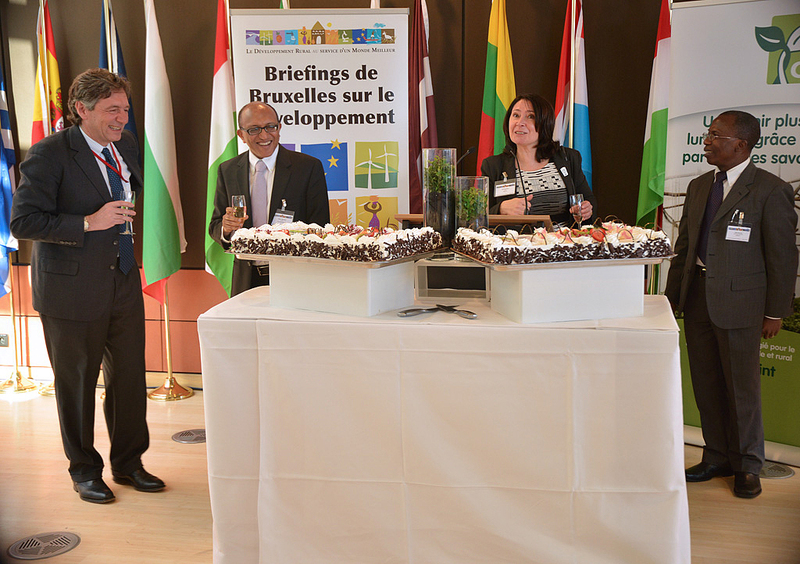 To mark the 30th Brussels Briefing, participants were presented with a commemorative CD-Rom with updated Readers, as well as Highlights, presentations and Policy Briefs for 2007-2012. These and many other resources are now available to download online here.